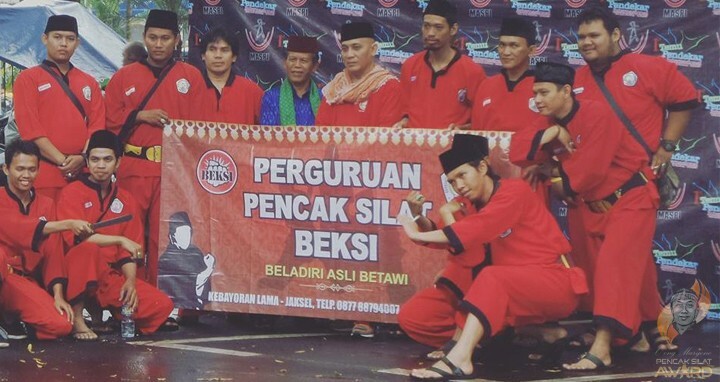 Perguruan Pencak Silat BEKSI at the event “Bandung Lautan Silat”, Bandung City Hall, 12-13 December 2015. 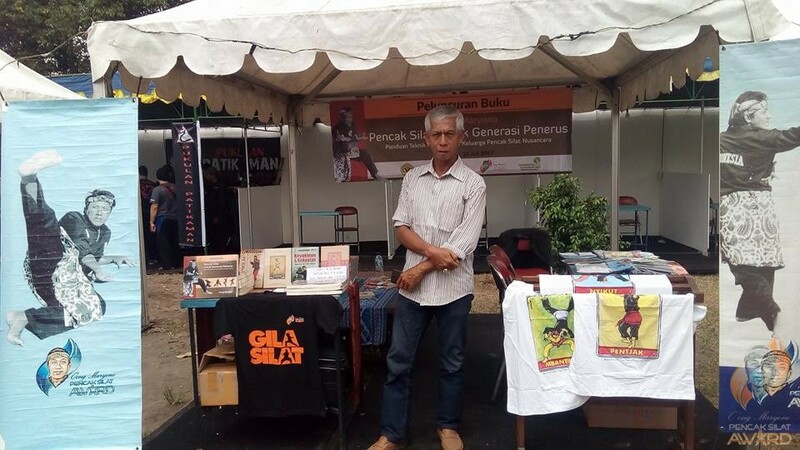 O’ong Maryono Pencak Silat Award opens Information Stand and sells Products such as Pencak Silat Books, Pencak Silat Dolls, and Pencak Silat T-Shirts. 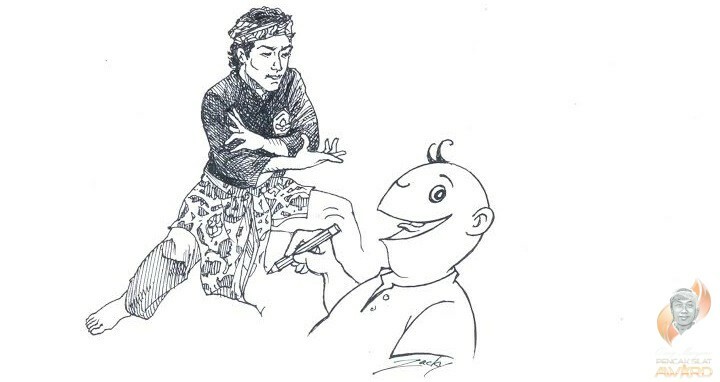 Illustration of Guru O’ong Maryono by graphic designer Asnar Zacky, who drew the illustrations in Master O’ong Maryono’s latest book titled “Pencak Silat for Future Generation“. 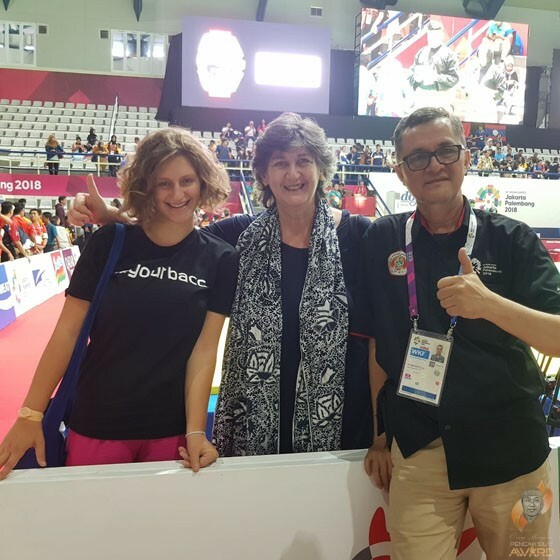 Group photo with students of Sekolah Indonesia Bangkok (SIB), Instructor Mohammad Ibnu Radi of Keluarga Pencak Silat Nusantara (KPSN) Thailand, and Mr. Ghofar Ismail of the Embassy of Republic Indonesia Bangkok, Thailand. 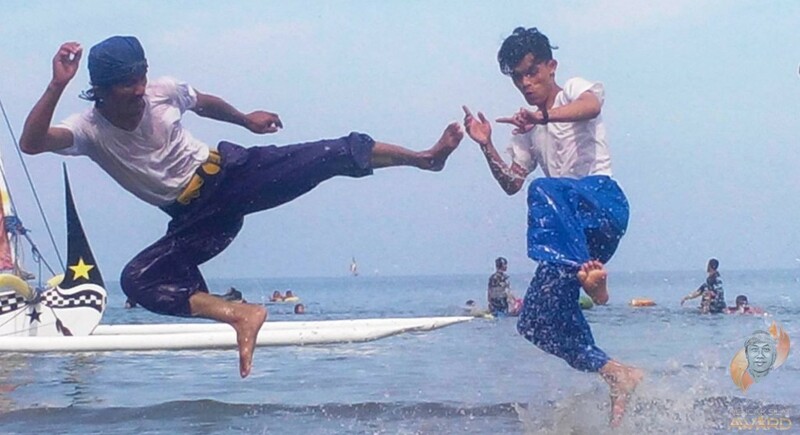 Now, SIB Students learn Pencak Silat as an extracurricular activity. 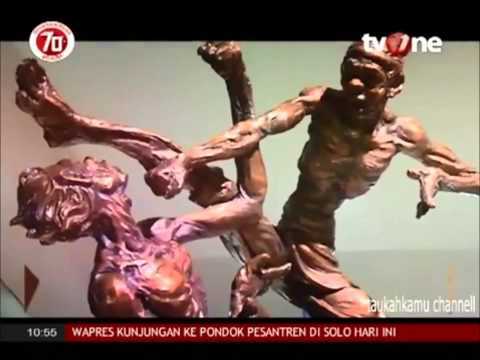 Butet Kartaredjasa (@masbutet) struck a pose in front of a sculpture titled “You will be in My Heart” by Sculptor Cahyo Baskoro at Sculpture Exhibition “Expressions and Forms in Pencak Silat Movements” From 01 August 2015 – 15 August 2015 at Galeri Cipta III, Taman Ismail Marzuki (TIM), Jakarta. 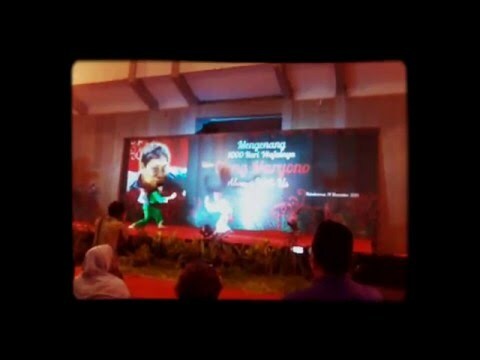 Group photo with family, friends, relatives, and performers in “Commemoration of 1000 Days Death Anniversary of Master O’ong Maryono”, 14 December 2015, at GOR Pelita, Bondowoso, East Java. 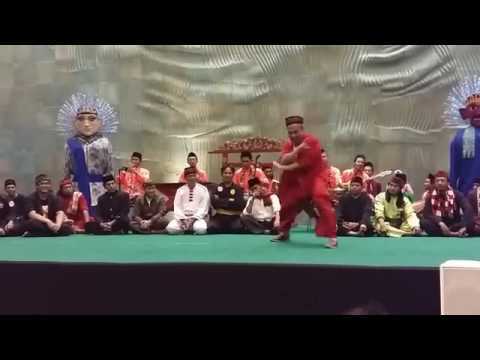 Performance of Pencak silat Betawi on the first day of Muharram, the first month in the Islamic calendar on 26 October 2014 in Jakarta, Indonesia. Students of Keluarga Pencak Silat (KPS) Nusantara school in Sungai Golok, Southern Thailand, waiting to perform. 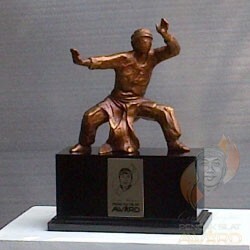 The O’ong Maryono Pencak Silat Awards is a small grant program that provides opportunities to research, document and publish about pencak silat, a rich, but still relatively unknown, Malay martial art. 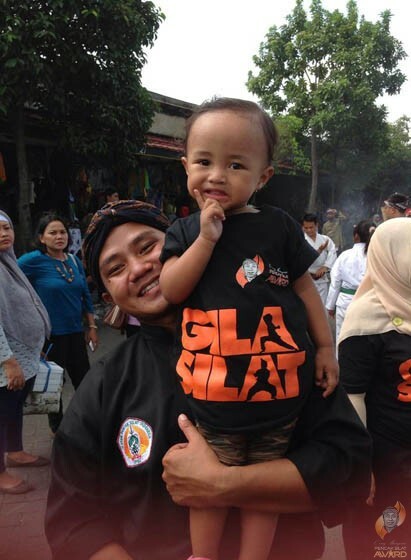 It is hoped that supported studies will contribute to preserve and promote pencak silat in all its aspects and diversity of styles and forms and to introduce it to new and wider audiences. 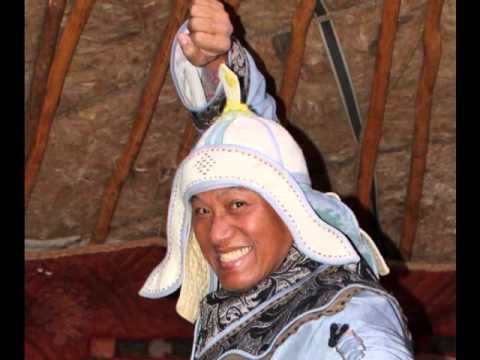 Indonesian Master O’ong Maryono (1953-2013) dedicated his entire life to pencak silat first as an athlete and national and international champion and later as a martial arts actor, international coach and official, and a researcher and innovator. 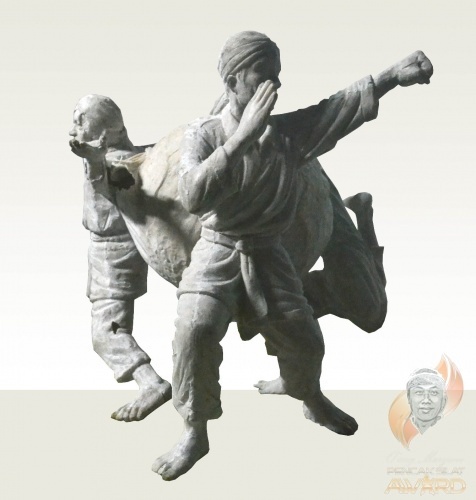 He is the author of the seminal book “Pencak Silat in the Indonesian Archipelago” or in his Indonesian version “Pencak Silat Merentang waktu. 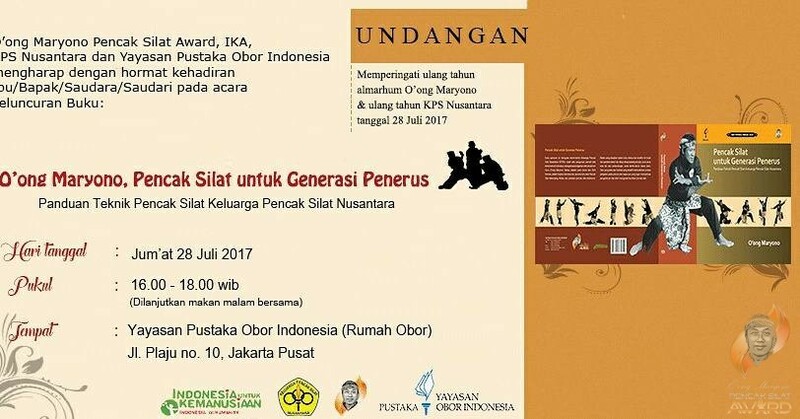 Penerbit Yayasan Pustaka Obor. 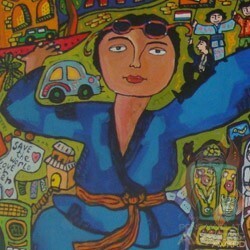 Jl Plaju 10, Jakarta Pusat.